We had a big turn out for the Frank Duffy 10 mile on Saturday August 26th. 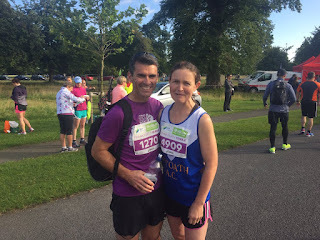 We had 12 athletes competing on a very warm morning in phoenix park : Aidan Barker,Teresa and Earl Doyle ,Simon Watsham, Lianne Bailey, Melissa Dunne, Gillian Gildea, Rachel Connolly,Louise Dempsey, Richie Smith, Karen Kirrane, Noelle Russell and Keith Heffernan. Aidan Barker was our first to finish in a fabulous time of 1:16 and our first woman home was Teresa Doyle in an amazing time of 1:17. Well done to all who took part .